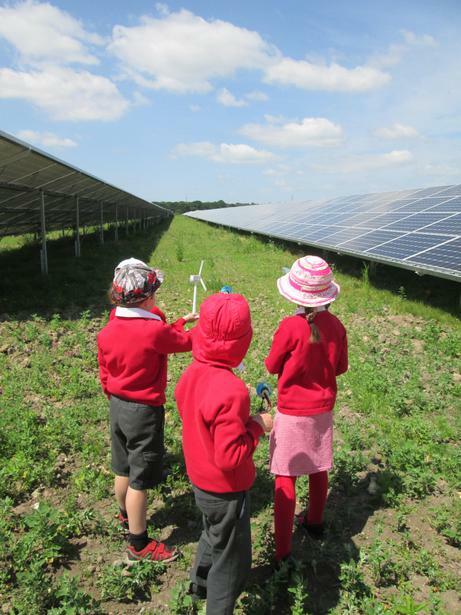 Representatives from our Eco-Warrior committee made a visit to the Belltown Power Solar Park in Verwood to check out what is happening on our doorstep to help generate electricity for local homes. The visit was organised through the Education links the company have made and we were delighted to meet Lorna who had been working hard on our behalf to make the visit possible. Lorna showed us mini solar powered gadgets so we could see how quickly the sunlight could make them move. 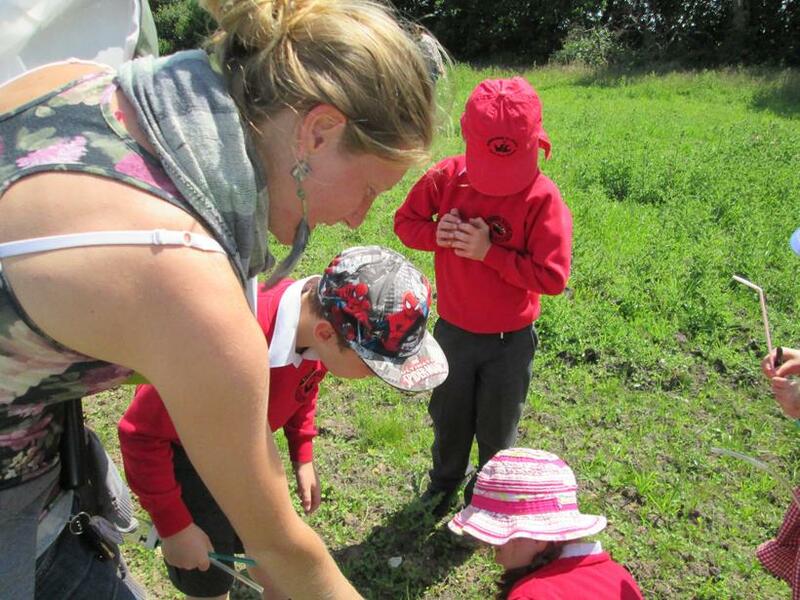 Next Lorna introduced us to an Ecologist called Clare who was making one of her regular visits to the site. Using our observational skills we helped to identify some of the wild flowers and grasses within a metre square area before trying to catch some insects for identification. It was brilliant to find some rare species amongst the usual ones such as buttercup and thistle. Throughout our visit we were able to see how the solar panels are set up to catch maximum sunshine through the day and we heard exactly how they work. We played a good game of "I spy" on the way home as we tried to see how many houses had solar panels on their rooves!